When it comes to a simple and easy midweek meal that all the family will love, garlic pork in black bean sauce is perfect. As with most things, red meat is important in our diet in the correct quantities. It provides a range of important nutrients such as iron, zinc, B vitamins, selenium and potassium. These are often low in toddlers and children. The Meat Advisory Panel has teamed with BritMums to promote red meat in the diet of children. Bloggers have been challenged to share our quick and tasty meat recipes that all the family will enjoy. My boys are little carnivores and one of their favourite meats is pork. 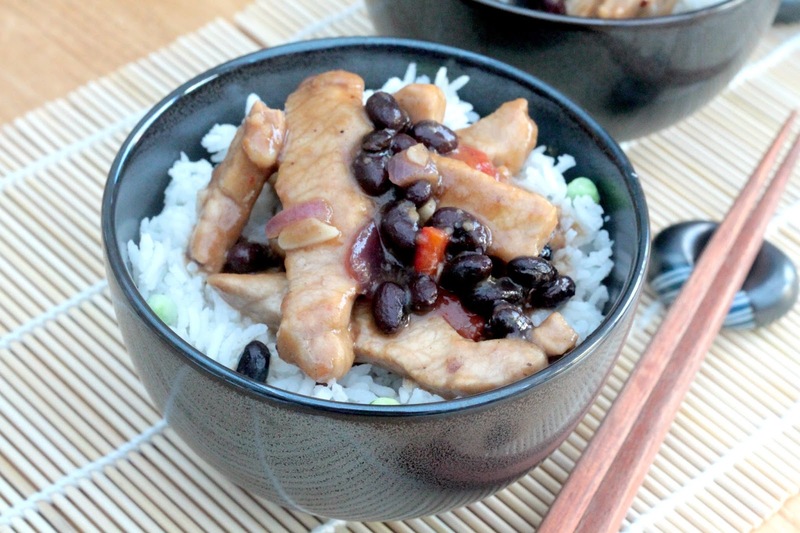 This garlic pork in black bean sauce is great as it can be easily adapted to your family's tastes. 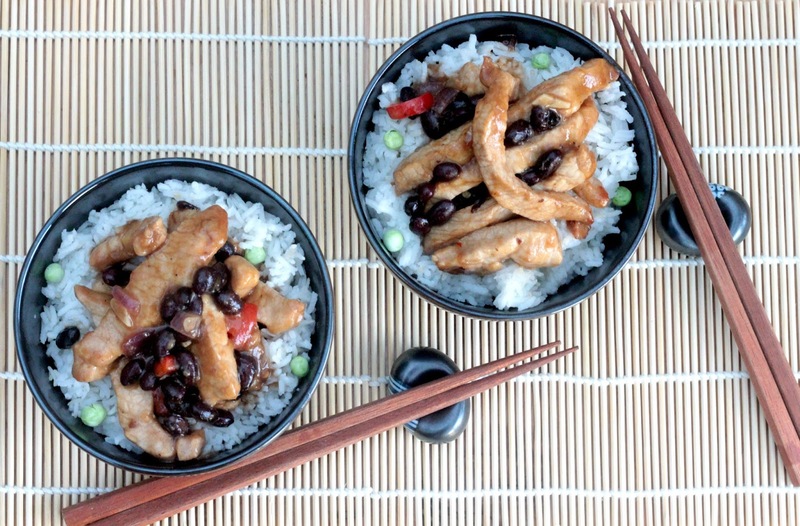 All my boys have enjoyed Chinese flavours from a young age and when they were smaller I would cook the dish with less garlic and minus the black beans. As a further shortcut you can use microwave rice rather than boiling your own if you are short on time. To add some sneaky vegetables in you could steam peas with the rice. If it is Friday night and I have a little extra time then I will make it extra special by making egg fried rice. The most important part of this dish is the marinade. It really does make a difference to the dish. It doesn't need to be done too much in advance but to make it easier you could do it the night before. Thinly slice the pork loin steaks removing all excess fat. Mix the marinade ingredients together and add to the pork. Chop the onion, pepper and garlic. Add a small amount of sesame oil to a work and add the marinated pork, onion, garlic and pepper. Stir occasionally until the meat browns on the outside. Add the black beans and 180g of black bean sauce and cook for a further few minutes. Serve with your choice of rice. Simple, easy and tasty. That is what I want from a family mid week meal. It is also good knowing that it is providing some of the nutrients that my boys need. We may need a bit more practice until we use chopsticks though! How do you incorporate red meat into your midweek meals? This post is an entry for the BritMums #HealthyRedMeat, sponsored by the Meat Advisory Panel.